FULTON COUNTY, KY – RH Resolute Distillery will soon be opening a new bourbon distillery in Hickman, Kentucky. For almost 10 years, a distillery on State Route 125 in Fulton County has sat vacant. The original builder never got the facility up and running. That will soon change when RH Resolute moves in and starts making bourbon there. “I’ve done work all over the country,” says Master Distiller Thomas McKenzie. McKenzie will be in charge of the operation. He says his way of making bourbon is unique. “We try and do it the old fashion way. This steel is all hand made. There is no automation and won’t be,” McKenzie says. In addition to producing a local product, the distillery will also produce jobs for Fulton County. “We see it as a very positive impact here, because there is a lot of collateral economic benefits that will come from this,” says Fulton County Judge Executive Jim Martin. Martin says it’s good to finally see someone use the distillery. “Every morning when I come to work, I look up here, and it’s good to see work going on now,” Martin says. McKenzie sees RH Resolute as a place that gives back to the community. People in Fulton County hope RH Resolute will provide jobs and bring people into Fulton County. 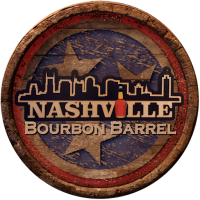 “I think if you build it they’ll come, and that’s the way it seems to be in the bourbon business right now,” McKenzie says. Bourbon production at RH Resolute is scheduled to begin sometime in early September. Between now and then RH Resolute will hire around 15 employees to produce the bourbon. The distillery will hold a job fair for anyone interested in a position from 10 a.m to 2 p.m. on July 17 at the Fulton County Office Building on Myron Cory Drive in Hickman.